A native of Denver, Colorado, Chef Sheila Lucero owes her love of cooking to her father, an avid cook and food connoisseur. She fell in love with the wonderful and varied cuisines of South Florida while earning a degree in Biology and playing soccer at Florida International University and, bent on becoming a chef, she returned home to CO to enroll at the Colorado Art Institute. 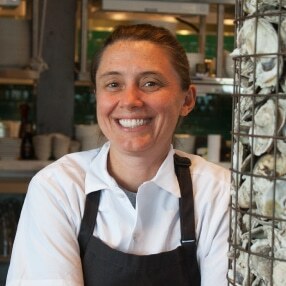 She then joined the outstanding opening crew of Jax Fish House in Denver and rose through the ranks to become Chef de Cuisine in 2002. Jax garnered widespread acclaim under her guidance, winning Best Seafood Restaurant in 5280 Magazine, Westword Magazine, City Search, and Rocky Mountain News. In 2009, she became the Executive Chef of Jax Fish House, and has since helped open additional and equally awesome Jax locations in Fort Collins, Glendale, and Kansas City. Guided by a concern for the health of our oceans and the state of our global fish stocks, Sheila has spearheaded a sustainability program at Jax to ensure that the seafood we serve is not only good for our guests, but also for the world we live in. Seafood is delicious, and we want it to last forever! Under her guidance, Jax has partnered with the Monterey Bay Aquarium’s Seafood Watch, The Blue Ocean Institute, Fish Choice, and the James Beard Foundation’s Smart Catch among other sustainable seafood certification organizations to share important news in the ever changing world within our oceans. Due to her efforts, Jax Fish House is proud to be the first restaurant in Colorado to be certified by the Monterey Bay Seafood Watch. Sheila also serves on their Blue Ribbon Task Force, working with other chefs from around the country to learn and share the very latest information on the state of our global fish stocks as well as the most progressive use of seafood in our restaurants. In June 2017, she was invited to Washington D.C. to meet with members of Congress and lobby for several key environmental policies that are up for renewal. She also participated in the James Beard Foundation’s 2017 Chefs Boot Camp for Policy and Change in Burlington, VT. Ever mindful of the fact that, though we make our living by what we get, we make our lives by what we give, Sheila has also donated her time and talents to numerous charity events such as The National Kidney Foundation Great Chefs of the West, The American Liver Foundation, Chefs Up Front (Share Our Strength), Do at the Zoo, and Project Angel Heart. For Adam, a passion for exceptional ingredients, a selfless brand of hospitality, and the “procurement of smiles” are what drive each day. Over the years he’s helped to build national reputations for superior service at Trios Wine Bar, The Kitchen, and The Kitchen Upstairs and since 2007 he’s served as the GM of each of the Jax restaurants. 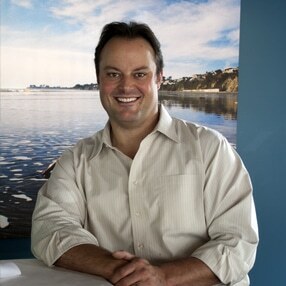 At the top of his list of greatest accomplishments—after family, 30 year friendships, earning his first level sommelier, and 5 successful restaurants—is Jax’s partnership with Travis and Ryan Croxton in the development of the 100% sustainable, Jax-exclusive Emersum Oyster from the Chesapeake Bay. When he’s not at Jax Adam enjoys cooking, popping corks, gardening, tailgating at CU football games, or going to the zoo with his wife Carolyn and their daughter Gracie. He is also the co-founder of the Danan Schufman Scholarship Fund, whose mission is to provide scholarships for culinary and wine education programs.